Designated Survivor returns for its second season premiere tonight. The show stars Emmy winner Kiefer Sutherland as Tom Kirkman, a lower cabinet member who unexpectedly becomes president after a devastating attack on Washington. Despite his lack of experience, Kirkman attempts to protect the country from a deadly conspiracy that appears to only just be starting. 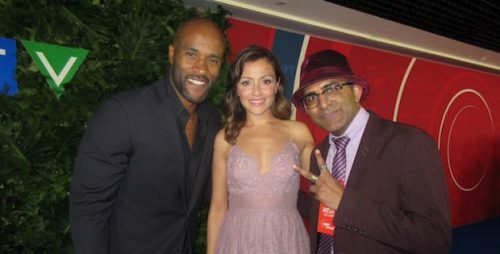 At CTV’s 2017 upfront presentation, I caught up with Designated Survivor‘s LaMonica Garrett and Italia Ricci. We chatted about a variety of subjects including what to expect from the second season. I asked Italia about her character’s promotion to chief of staff. LaMonica shared some insight about what working with Kiefer Sutherland is like and how he is off-camera. Check out the video above! Designated Survivor’s second season premieres Wednesday September 27 at 10 p.m. on CTV.